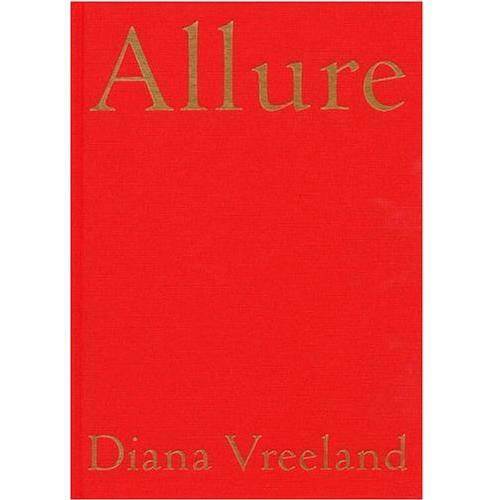 Legendary fashion maven Diana Vreelandat the urging of her editor Jackie Oauthored a classic volume in the 1980s on the quality of "allure" in fashion and in life. Now back in print, this new edition features a foreword from the incomparable fashion designer Marc Jacobs. Throughout Allure, Vreeland lends her famous knack for turning a phrase to an astonishing array of fashion, celebrity, and fine art photographs. Featuring images of such luminaries as Maria Callas, Gertrude Stein, and Marilyn Monroe shot by superstar photographers such as Man Ray, Cecil Beaton, and Richard AvedonAllure is poised to deliver Vreeland's unparalleled point of view to a whole new generation.